Anugerah Akademi untuk Pelakon Pembantu Lelaki Terbaik ialah sebuah anugerah dipersembahkan setiap tahun oleh Akademi Sains dan Seni Perfileman (AMPAS). Ia diberi sebagai penghormatan kepada pelakon lelaki yang menunjukkan lakonan luar biasa dalam peranan pembantu semasa bekerja dalam industri filem. Di majlis Anugerah Akademi ke-9 yang diadakan pada tahun 1937, Walter Brennan merupakan pemenang pertama anugerah ini untuk peranannya dalam Come and Get It. Brennan memenangi anugerah terbanyak dalam kategori ini dengan tiga anugerah. Brennan, Jeff Bridges, Robert Duvall, Arthur Kennedy, Jack Nicholson dan Claude Rains telah dicalonkan sebanyak empat kali, lebih banyak daripada mana-mana pelakon lelaki lain. 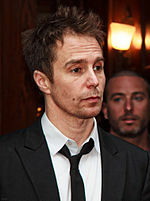 Setakat majlis anugerah tahun 2018, Sam Rockwell adalah pemenang di dalam kategori ini untuk persembahan lakonannya sebagai sebagai Pegawai Jason Dixon di dalam filem Three Billboards Outside Ebbing, Missouri. ^ "Rule One: Award Definitions" (PDF). Academy of Motion Picture Arts and Sciences (AMPAS). m/s. 1. Dicapai August 30, 2013. ^ "The 9th Academy Awards (1937) Nominees and Winners". Academy of Motion Picture Arts and Sciences (AMPAS). Dicapai August 27, 2013. ^ "The 10th Academy Awards (1938) Nominees and Winners". Academy of Motion Picture Arts and Sciences (AMPAS). Dicapai August 27, 2013. ^ "The 11th Academy Awards (1939) Nominees and Winners". Academy of Motion Picture Arts and Sciences (AMPAS). Dicapai August 27, 2013. ^ "The 12th Academy Awards (1940) Nominees and Winners". Academy of Motion Picture Arts and Sciences (AMPAS). Dicapai August 27, 2013. ^ "The 13th Academy Awards (1941) Nominees and Winners". Academy of Motion Picture Arts and Sciences (AMPAS). Dicapai August 27, 2013. ^ "The 14th Academy Awards (1942) Nominees and Winners". Academy of Motion Picture Arts and Sciences (AMPAS). Dicapai August 27, 2013. ^ "The 15th Academy Awards (1943) Nominees and Winners". Academy of Motion Picture Arts and Sciences (AMPAS). Dicapai August 27, 2013. ^ "The 16th Academy Awards (1944) Nominees and Winners". Academy of Motion Picture Arts and Sciences (AMPAS). Dicapai August 27, 2013. ^ "The 17th Academy Awards (1945) Nominees and Winners". Academy of Motion Picture Arts and Sciences (AMPAS). Dicapai August 27, 2013. ^ "The 18th Academy Awards (1946) Nominees and Winners". Academy of Motion Picture Arts and Sciences (AMPAS). Dicapai August 27, 2013. ^ "The 19th Academy Awards (1947) Nominees and Winners". Academy of Motion Picture Arts and Sciences (AMPAS). Dicapai August 27, 2013. ^ "The 20th Academy Awards (1948) Nominees and Winners". Academy of Motion Picture Arts and Sciences (AMPAS). Dicapai August 27, 2013. ^ "The 53rd Academy Awards (1981) Nominees and Winners". Academy of Motion Picture Arts and Sciences (AMPAS). Dicapai August 27, 2013. ^ "The 86th Academy Awards (2014) Nominees and Winners". Academy of Motion Picture Arts and Sciences (AMPAS). Dicapai August 27, 2013. ^ "The 87th Academy Awards (2015) Nominees and Winners". Academy of Motion Picture Arts and Sciences (AMPAS). Dicapai August 27, 2013. ^ "The 88th Academy Awards (2016) Nominees and Winners". Academy of Motion Picture Arts and Sciences (AMPAS). Dicapai January 14, 2016. Laman ini diubah buat kali terakhir pada 20:15, 6 Mac 2018.